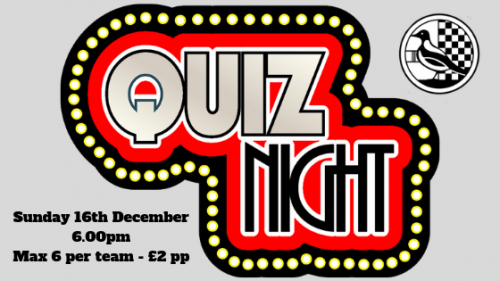 It’s that time of the year again… the annual quiz is almost upon us. This year the quiz takes place in the Clubhouse on Sunday 16th December. Entry is £2 per person – with a maximum of 6 members per team. Spaces are filling up fast so grab a team together, get thinking of a silly name, start revising and book your place! We will also be conducting our Christmas Prize Draw on the night. If you haven’t already got your tickets they are available in the clubhouse or from Board members. Tickets are £1 each or £5 a book! There are some great prizes to be won including some generous cash prizes and lots more!